Mention the name of R & R Model Engineering to a model submariner and two items would instantly spring to mind...the SALCON and HMS Resolution. 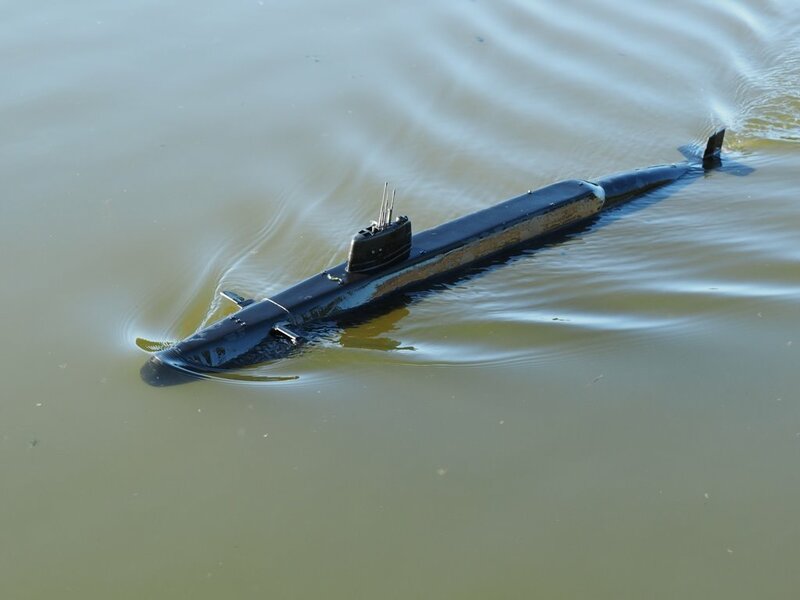 The SALCON was designed to combat the problem of keeping a model submarine running at a level attitude, whether it be on the surface or submerged. Many modeller submariners at the time experimented by converting model helicopter gyros, but none were really successful, despite their best efforts. R & R designed the SALCON (Submarine Automatic Level Control) and after a few prototypes were made, and several improvements made, the unit went on the market, and proved to be an instant success. The SALCON, although a large item, solved the problem in one go...it transformed many boats from being almost uncontrollable into a boat which would sail at periscope depth for as long as the batteries lasted. With the advent of smaller and smaller electronic units, and the increasing difficulty of buying the parts needed, the SALCON went out of production a few years ago, much to the disappointment of many submarine modellers. 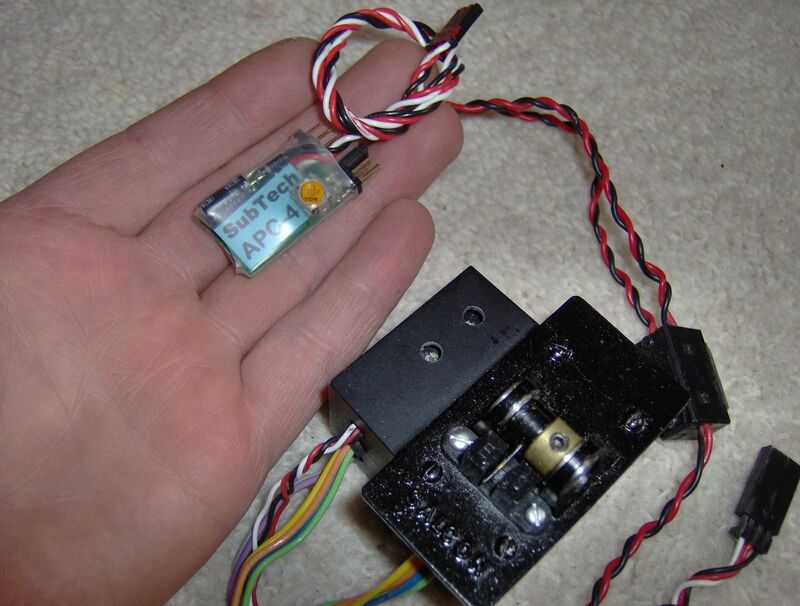 The new electronic auto levellers are tiny compared to the SALCON, and work as well, if not better, but many sub modellers have fond memories of it, myself included. 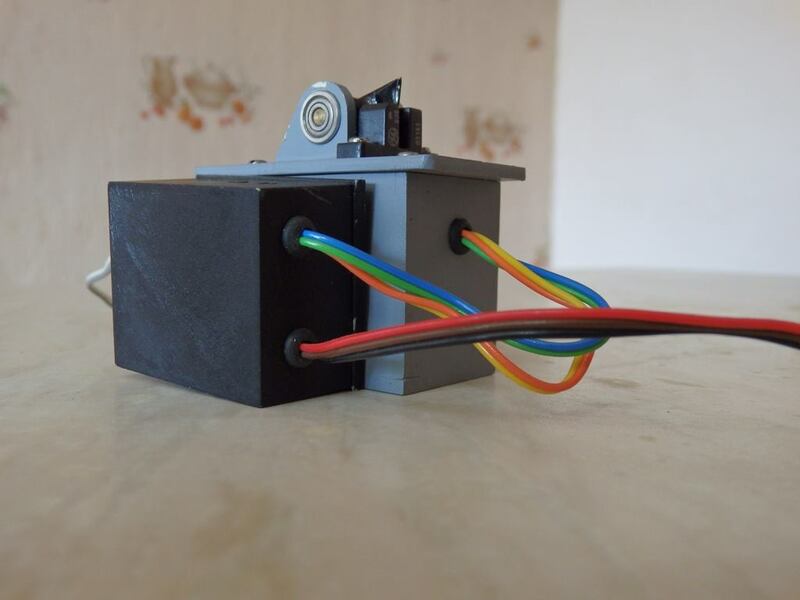 The image below shows a SALCON with it's associated electronics box. This video clip was taken back in 1986 at Bristol Docks, and shows Ron Perrott's own 32nd Parallel Type V11 U boat in action. The boat has R & R's original design of piston tanks installed, plus an early design of working torpedoes. This video shows Mick Higgott's Engel Typhoon and Ron Perrott's R&R Alfa running together...both boats fitted out with R & R Model Engineering equipment. The Typhoon features bow thrusters, retracting conning tower gear and bow planes, plus working torpedoes. The boat is still work in progress, and this footage shows her first trials in deep water. An interesting piece of video footage showing Mick Higgott's Typhoon stalking a Revel Corvette in icy conditions.